Campus leaders need to be able to push for transformational change—whether it is to benefit their students, institutions, or higher education, says NACUBO’s 2017 Leadership Series speaker Wes Moore. 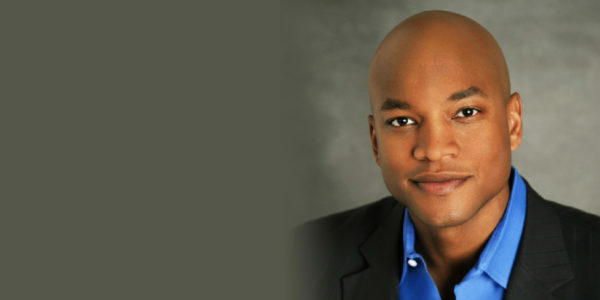 Leadership is not about assigning tasks or delegating; it is about inspiring those around you to achieve a greater good, while empowering them to take charge of the tasks at hand, says Wes Moore, NACUBO’s 2017 Leadership Series speaker. What makes an effective leader in higher education is the ability to adapt and evolve, and push for changes that could be hard to make, but are worth fighting for, especially if they benefit students, says Moore, who is a youth advocate, Army combat veteran, business leader, and author. Moore is the keynote speaker on the topic of leadership at NACUBO’s signature workshops during 2017. Participants at the Endowment and Debt Management Forum, Student Financial Services Conference, Higher Education Accounting Forum, Planning and Budgeting Forum, and Tax Forum will hear his message on the role of transformational leadership in higher education. Moore was also a keynote speaker at the NACUBO 2015 Annual Meeting, where he spoke on ways colleges and universities can achieve better outcomes. In this interview with Business Officer, Moore talks about effective leadership in multiple areas and the role of higher education in our society. In your book, The Work, you mention that in your travels, you found that everyone that you had met who was truly successful was fanatically passionate about what they did. How can people find that enthusiasm in their jobs, and what advice do you have for those who have trouble finding that passion? Oftentimes, people have an ability to separate their jobs from their work. When we think about our job, we know that it is an occupation. Your work is finding the thing that makes your heart beat a little faster in your occupation and in the things that you do every day. So the question is: How can I find joy in that work? And, the truth is that we can find joy in the things that we do everywhere around us. We just need to think about what it is about the things that we do that make our hearts beat a little bit faster. I’ve always been inspired and impressed by people who can truly think about the work that they do, and know that the things they do every day give them a greater sense of understanding of the type of life that they want to live, and the contribution that they want to make to society. How can higher education help students be passionate about their work; find a sense of purpose; and, in turn, become effective leaders in the future? Higher education does two things when it comes to helping students have a better sense of clarity about what they want to do. One is that it increases options. Part of the thing that higher education provides and gives to students is a greater bandwidth, in terms of the things that they can explore, about how they want to spend their time, and the things they want to do. The second thing is about understanding the bigger definition of higher education. Most people say that higher education is about the degrees that you earn. My response to that is, yes and no. Of course, higher education is about the degrees that you achieve. But the bigger question of higher education isn’t necessarily what your major was. It is about who you choose to fight for. And, higher education, allows you to better answer that question, which, I think, is not just the more important question, but it’s the more sustained and lasting question, as well. You noted in The Work that student failure is usually caused by issues in three areas—academic, financial, and social. 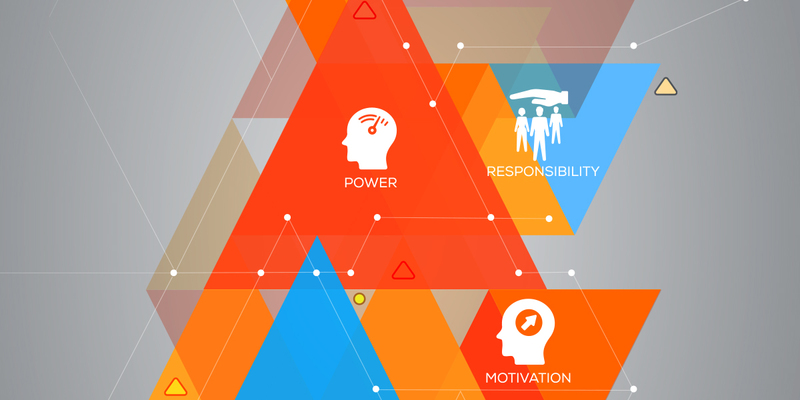 How can business officers ensure student success? And, in what way can multiple offices—not just the financial people on campus—partner to make sure that students are achieving their goals? Oftentimes, we, as students who are facing challenges, don’t even realize that we can actually do something about them. One of the things that frustrates me is thinking about the number of students who are not getting all the benefits that their financial situations merit, simply because they’re not filling out paperwork correctly. Basic elements such as these become incredibly frustrating, because then you’re watching students who are making decisions that are not the most informed ones. They are making decisions based on only the information that is available to them at the moment. One of the things that we can do as business officers is to help students understand what exactly they might qualify for and the benefits that they might be able to receive based on their financial situation, and then using that as a catalyst to remind them about the importance of using everything available to help make more informed decisions. If students feel that there is a reason for what they’re doing, they will keep pushing forward. As financial professionals, we have to remind them of that and show them that what they’re trying to aim for is something that is tangible and something that they can achieve. One of the values of school, which you’ve noted is understated, is the network of friends and mentors that a student can build and depend on as he or she moves forward in professional life. Explain what you mean by this and how we can cultivate those networks. It’s the one thing that I believe deeply about higher education. It’s not just about what we’re learning, but it’s also about who we’re learning from and who we’re learning with. I think about it in my own life and the different jobs that I’ve had, and I tell students that I’ve had the pleasure of consistently working in jobs that I love. So much of this is about the people with whom you’re surrounding yourself, both the students, and also the professors and professionals. So higher education and moving up in your profession will never simply be about the piece of paper that you will frame and put up on a wall, or the paper that you will sign. It’s also about the people who you introduce into your life and have in your life. These people will help you navigate the entire process of education and work with you so that you can make the most of your talent. Higher education is known to have a culture that’s slow to change. So, how can leaders be effective in such an environment? Having something that isn’t necessarily quick to change does not mean that things won’t change. It still becomes our responsibility to push for change when we think it’s necessary, useful, or it benefits our students. We’re not in an industry where you can make quick, swift pivots. But, we are in an industry that keeps students and student success at the core of what we do. While you may be pushing for changes that may seem like they could be hard to make, the thing that should keep us going is knowing that, if it’s something that benefits students and it’s something that continues to make our work relevant and important in our larger society, then it’s a fight worth taking on. Keeping with the theme of leadership, when you were deployed, learning about your fellow soldiers helped you become a better leader. With the busy schedules and limited resources at colleges and universities, how can leaders there make better connections with their colleagues? When we think about how to make better and more critical connections with our colleagues, we have to think about those synergistic passion points that really brought us and others to work in the first place. One thing that I’ve always loved about what we do in higher education is that we work with not just an incredibly talented group of people, but with those who have a common goal of ensuring student success. Even when we’re working in different areas with a different focus, everyone is committed to accomplishing the same larger goal. So if you’re working in financial aid, academic programming, or in study abroad, everyone has a common agenda, which is to increase the experience that students will have as they’re going through the process of thinking about higher education and the meaning it will have in their lives going forward. In The Work, you wrote that staying in a place where you didn’t feel like you were growing would be the riskiest thing that you could do. As we get older, it becomes more difficult to take risks. Describe the differences that you see in the approach that a 25-, 45-, and 65-year-old might have in finding a life that matters. One of the things that I really love about going into that process is that it has nothing to do with age, but it is about constantly having the ability to evaluate and re-evaluate who you are, where you are, and those things that could give you the platform that you need in order to make that big difference and big impact. We all have such moments at different points in our lives. It really is about having enough confidence in your ability and training, and having enough support from people around you in order to make those things happen. And, then, having enough faith in knowing that the joy you are searching for and the thing that you feel like you might be missing out on, is something that’s worth the risk. Because the risk of doing nothing is the riskiest thing that you can possibly do. The risk of staying somewhere that you know you shouldn’t be staying at is actually the riskiest proposition that you can possibly take on. Let’s talk about your program BridgeEdU, which is now in its third year. I was wondering if you could share with us some lessons learned. When you look at college matriculation numbers, particularly for first-generation students or students of color, or those who are under-resourced, the question is: Why did it become so difficult for them to be able to go through college? At BridgeEdU (bridgeedu.com), we were trying to figure out why the freshman year can be the choke point for so many students, how we can reinvent it, and create on-ramps for students to give them a greater level of support and sustainability to keep them on board. We work with colleges and universities to create a kind of hybrid system—both high tech and high touch—that will give them a better opportunity to come up with leading indicators and red flags. So if a student starts to fall behind and we know what those indicators are, then the institution has a better chance of bringing the student back on board before he or she ends up leaving. When you look at students who are first-generation, or of color, or under-resourced, the persistence rate for them making it to a sophomore year is only about 50 percent. And that’s what we wanted to address. We work with colleges to identify the students who may need help, and then work with the institutions to come up with a system that could help keep the students on board. The thing that we’ve been able to see earlier on is that this process is working. We’re beating benchmarks when it comes to persistence and efficacy. And, now, as we continue to grow in scale, one of the things that we know is that this is not a problem just in Maryland where we started, but it is a national problem. We’re excited that the platform will be expanding to other places as well. How can the chief business officer support the sort of work that BridgeEdU is doing? One of the first conversations that we have is with the business office, because what we’re putting forward isn’t just a moral argument, it’s a financial one. For many institutions, when leaders see such a high percentage of their student body walk out the door, particularly when they know that with the right kind of support, the students would stay in colleges, it becomes an important financial conversation for the leaders to have. We give institutions a full snapshot about the financial benefits of working with BridgeEdU and the financial benefits of keeping these students on board. When we look at our university partners we have thus far, every single one of them has not only continued its relationship with students, but, in many cases, doubled and tripled the number of students they retain. Institutions are able to see the financial benefits of having the students that they accept, including conditional admits, complete their education and provide them with the support that they need. This is one of the most important financial decisions that institutions are making. We’re very clear that this isn’t just a good decision, but something that we feel helps to alter and change the financial equation for our university partners. You’ve written a lot about the potential of America and how the people you’ve met have given you hope that this country can be a better place with each successive generation. Talk about the role of higher education in this context. When you think about the future of American employment and competitiveness, the role that higher education plays is one of the most important conversation pieces in that. So much of where we are going, in terms of future employment and opportunity, all depends on whether or not our students have both the credentials and the confidence. When people think about the role of higher education, we just talk about credentialing. That is important. But, also, it’s about the confidence that our students know that they can start and finish a project, and that employers and investors know that the students are capable of achieving that. And, so, this is another reason why higher education shouldn’t just be part of the conversation about the future of our American enterprise. It should be the tip of the spear of that conversation. Bryan Dickson is senior policy analyst at NACUBO. It still becomes our responsibility to push for change when we think it’s necessary, useful, or it benefits our students. We work with the institutions to come up with a system that could help keep the students on board. To learn about how institutions can help students succeed after graduation, read Wes Moore’s interview “Bridging the Learning Divide,” in the June 2015 issue of Business Officer magazine.